Want to Join the Ranks of Downtown Fresno Small Businesses? Downtown Fresno has some pretty great small businesses that are small business savvy. Below are just some samples of our small businesses that have been effective in their business strategies and see themselves as part of a revitalizing downtown. For a full list of downtown businesses and restaurants, visit our webpage. COIL Yoga, consistently ranked as some of the best yoga in the Central Valley, just celebrated 10 years in Downtown Fresno and just ran its first ever 9-month yoga teacher training program, bringing yogis from all over the Central Valley. COIL has a well-thought out website, monthly e-newsletters, class deals, amazing variety of workshops and an active facebook presence. Right now, you can buy a one-month unlimited class card for just $99. Sheer Bliss Studio is about to celebrate 10 years in business of creating beauty and relaxing our minds and bodies. Two of those years have been downtown across the hall from COIL Yoga. Sheer Bliss constantly has downtown discounts on skincare, facials and massages (and the quality to back it up). They have a website and e-newsletter filled with information. Peeve’s Public House and Local Market is creating all kinds of stirs as an all local eatery, pub, coffeeshop, a welcoming community hangout, and local market. 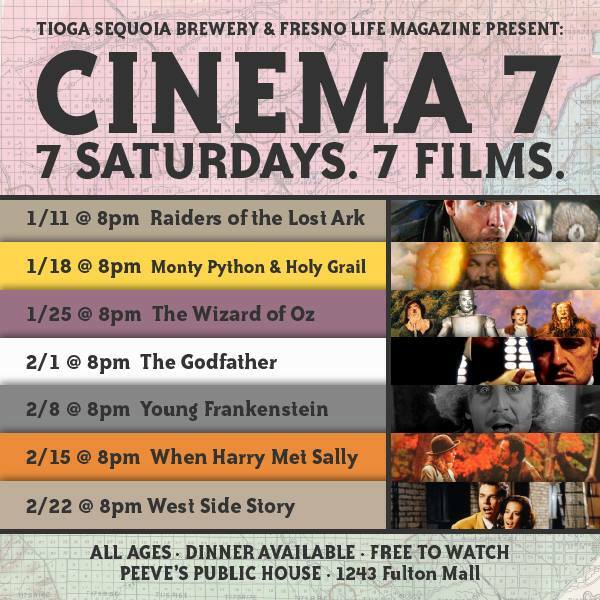 Peeve’s hosts movie nights, live music, and posts its ever-changing, all local menu every morning. 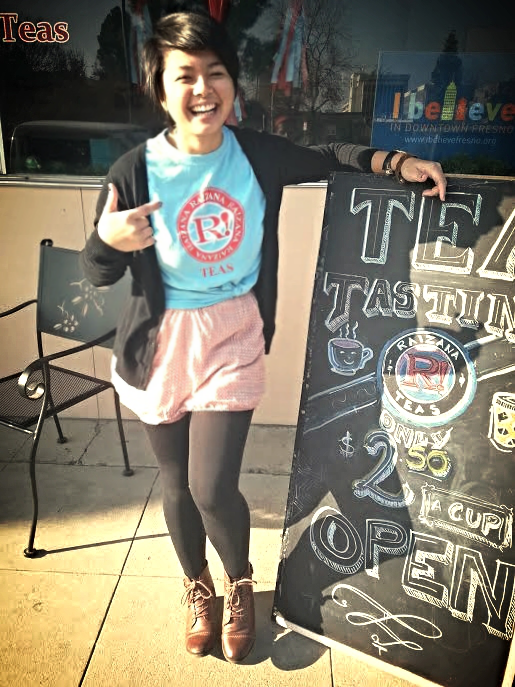 Raizana Teas has created a dedicated following with its super engaging social media, partnerships with other businesses (Peeve’s sells Raizana’s teas), its friendly customer service, its unique product, monthly wellness workshops and a lively presence at Art Hop. Yogurt, Etc. is the new frozen yogurt shop that has handed out $1 off coupons, posts menus online and offers a variety of foods besides fro-yo. The owner even lives downtown. Misc Trading Co. has one of the coolest instragram accounts I’ve seen and I’ve even bought clothes there from just seeing them posted online! The Loft Salon has been offering a high quality experience, in the historic Pacific Southwest Building, since 2009, with a staff that cares about the success of Downtown Fresno. The Loft has sponsored the downtown Fresno ice rink and has assisted with other downtown events, willing to lend a hand. What do all these businesses have in common? They are dedicated to getting the word out about their businesses, whether it is word of mouth, email newsletters, online reviews, social media, websites, promotions, creative marketing, and creative partnerships. They take full advantage of social media and use it regularly to communicate with their customers and build relationships, using tools such as Facebook, Twitter, Yelp, Foursquare, and Instagram. This is especially important since over 90% of consumers now read online reviews before making a purchase. They keep long and consistent hours. For example, Peeve’s is open from 7am until 11pm. They see themselves connected to the rest of downtown. They offer quality products and services that are in demand. They understand that they contribute to a successful downtown. When you go to the Loft Salon, they will talk about the new coffeeshop about to open in the Helm Building. COIL yoga teachers tell you about Sheer Bliss massages. We are all in this together. #downtownfresno! The Fresno Startup Guide is a consolidated guide to efficiently help you start your business in the City of Fresno. Fresno 4 Biz: A free business resource assistance page created by 10 local public and private organizations who collaborated to put these resources all in one place. SCORE and SBA: Free classes, business assistance, connecting you to appropriate parties, and more. SBA and SCORE are conveniently located in Downtown Fresno! Downtown Business Hub: Did you know this is the first bilingual incubator in the Western United States? It’s a pretty great gem downtown that serves as a business resource and micro-lender. Fresno CDFI is a community development financial institution that provides financing, training and technical assistance for small businesses downtown. Central Valley Business Incubator: A great online resource to help you get started with business plans, idea feasibility, and business readiness. 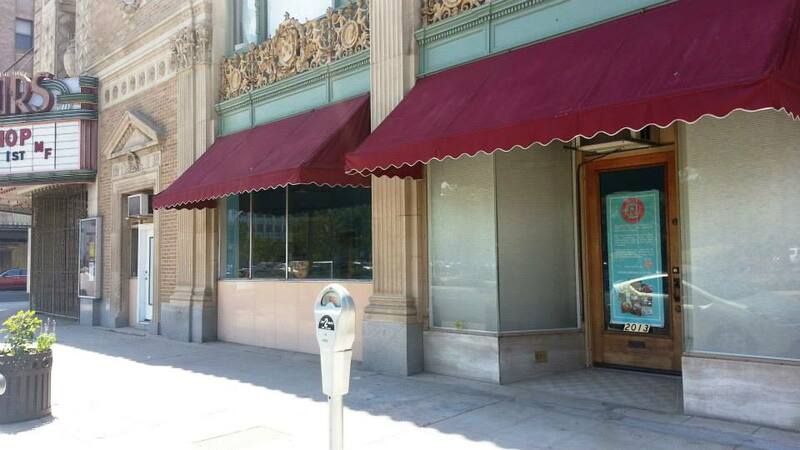 Downtown Properties: Check out what some of the available properties for lease or for sale are in Downtown Fresno. Now is a great time to join the ranks of downtown’s small businesses! Read more about the cool places that are helping create a downtown experience in Kim’s latest blog: Strong Downtown Resolve. Downtown has a few new businesses in Downtown Fresno that we want to welcome, too! Please be sure to check out UMI Sushi, 80/20 Nutrition Bar, Mabel’s and Desert Plastic Surgery. We’re all in Downtown Fresno, together. Let’s make it as vibrant as we can dream.